Scientifically formulated bodywash to eliminate problem body odour. Perspi-Guard® Odour Control Bodywash is an exceptionally effective solution to excessive and problem odour. It is also remarkably gentle on the skin. Especially effective on commonly affected problem areas, such as the underarms, feet and groin. Unlike regular body washes, which often only deodorise problem areas for a short time, this bodywash deals with the root cause of the problem. The scientific formulation was originally developed to treat problem odour, also known medically as Bromhidrosis. It contains Triclosan, which targets and reduces the odour-causing bacteria that build up on the skin during sweating. Perspi-Guard® Odour Control Bodywash also comes with a manufacturer’s Money Back Guarantee. In the unlikely event that you find it unsuccessful, simply contact the manufacturer to arrange a full refund of the purchase price. 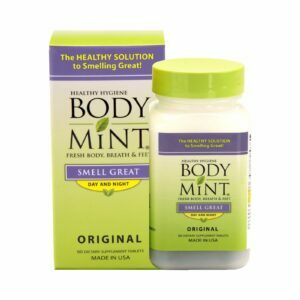 Suitable for use by men and women of all normal skin types from the age of 6 years to treat problem body odour. It can be applied to all areas of the body, including the underarms, feet and groin. Apply directly to the skin in areas where odour is a problem. Lather and then rinse well. Use regularly whilst problem odour persists. 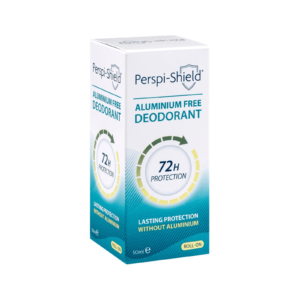 For best results, use in conjunction with Perspi-Guard® Maximum Strength Antiperspirant. If irritation occurs, discontinue use. Aqua (Water), Sodium Laureth Sulfate, Ammonium Lauryl Sulfate, Cocamidopropyl Betaine, Glycerin, Cocamide DEA, Sodium Chloride, Tocopheryl Acetate (Vitamin E), Triclosan, PEG-12 Dimethicone, Propylene Glycol, Parfum (Fragrance), Benzyl Alcohol, Methylchloroisothiazolinone, Methylisothiazolinone, Magnesium Nitrate, Magnesium Chloride, Triethylene Glycol, Dipropylene Glycol, PEG-40 Hydrogenated Castor Oil, Citric Acid. My husband had terrible feet. Even after showering after work the smell would take over the room. This shower gel has been incredible and has removed the smell completely. I highly recommend this. My name is Tyrone a thirty year old male who unfortunately suffered from smelly armpits . this effected my self esteem and confidence . After trying many different products natural and chemical , I heard about your product so decided to give it a go . Wow , not in a million years did I think it would work this well . Thank you so much . Your products definitely have a permanent place in my medicine cabinet. First time I’ve ever wrote to a company to comment on any sort of product .